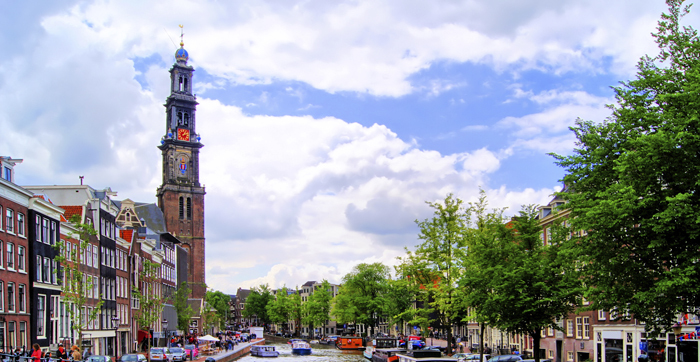 Great beer is being made in Amsterdam, but you must dig deep to find it. Drinking locally was great fun and great tasting when I lived in San Francisco. Same for Portland. After all, California and Oregon are synonymous with IPA, so much so they named a sub-category for them—West Coast IPA. The same goes for Cascadian dark ales around the Pacific Northwest. So imagine my surprise, and interminable delight, when I discovered a beer called Flamingo, a black IPA that parlayed the dual bitterness of American hops and astringent, dark-roasted malts, brewed by Brouwerij ‘t IJ, the oldest brewery in Amsterdam, since 1985. (Heineken’s brewery here powered down in 1988.) But CDA aside, there is no mistaking this place for Portland. And the giant wooden windmill hovering over ‘t IJ’s pub, the tallest one in the Netherlands, makes sure of that. Also, all the beers are made with a house Belgian yeast strain. But Belgium this is not. I just moved here when my wife was offered a job that would relocate our family for a while and that just didn’t seem like an offer worth refusing. To be honest, I expected that this country—one that shares borders only with Belgium and Germany—would have a robust brewing culture. There is absolutely some great beer being made here, but you have to really dig deep to find it. Otherwise it’s predominantly industrial pilsners and the same Belgian brands widely distributed in the United States. Naturally, any visit to A’dam requires the cultural musts, including the many museums (Rijksmuseum, Van Gogh Museum, Anne Frank House) and a canal cruise to sightsee and get your bearings in this sub-sea-level city. And maybe you’ll want to visit one of the 225 notorious “coffeeshops” that might also explain why there seems to be four bakeries on every block. But it’s also finally a good time to do a beercation to Amsterdam. Let’s start with the holy trinity of beer spots to hit: a beer bar, a bottle shop and a brewery. Proeflokaal Arendsnest (in the city’s Jordaan district) is long and narrow almost with a shotgun shack meets saloon aesthetic. It’s literally the only beer bar that focuses exclusively on Dutch brews. Thirty taps enable the bar (proeflokaal means tasting room and, in case you’re curious, arendsnest is an eagle’s nest) to introduce customers to a brewing industry that’s reaching the tipping point. Most of it is based in the south toward Belgium and among contract brewers. Because of that Belgian hand, expect many Belgian goldens, strong ales and the like, although when I first arrived, half the handles were bocks, doppelbocks, ice bocks, etc. It’s the one seasonal specialty the Dutch have really glommed onto, and they’re terrific. Plan to visit near the end of October for the Bokbier Fest (since 1978). Having said that, finding myself in need of a hop hit, I discovered that Brouwerij Maximus (De Meern) makes an IPA called High Hops with a mélange of five high-alpha varietals that holds its own against any from back home. In fact, its stouts and saisons are equally impressive. Customers will also find an extensive list of bottles from De Molen (Bodegraven), arguably the first and best progressive craft brewery and rated RateBeer’s best Dutch brewery. But perhaps my personal favorite part of this place? Kids and dogs are welcome inside, and my 2-year-old is only 14 years away from getting to order his own. Honorable mentions for best proeflokaals start with The Beer Temple (in Centrum, the city center near Centraal station), which brings the American beer bar model to Amsterdam. It’s from the same owners as Arendsnest, thus explaining the knowledgeable and more-attentive-than-normal staff. The tap ’n’ bottle list is extensive, featuring a wide variety of 21st-century beer styles, and the rumors are true: You can buy a bottle of Three Floyds Dark Lord (if you’re prepared to drop €100). Nearby, In de Wildeman features 18 taps and a many-pages-long bottle list, so whether you’re craving Dutch, Belgian, German or American beers (or even a handful of British hand pulled cask engines, the only Real Ale I’ve found here), this boisterous bier room fits the bill. And there’s a Café Gollem in three disparate neighborhoods across town: Centrum, Old West by Vondelpark and De Pijp. There are a few taps, but it’s the bottle list that stands out. When they break up options in categories such as Trappists and that includes all three bottled offerings from the St. Sixtus Abbey, the nearly impossible-to-come-by Westvleteren 6, 8, and 12, you know they got it right. Speaking of variety, one of the largest bottle shop inventories—1,200-plus—I’ve ever seen anywhere is at De Bierkoning bottle shop. The beer king, directly around the corner from the Beer Temple (or as nonbeer folks think of it, Dam Square and the Royal Palace), is easily one of the top shops in the world. Ogle the huge walls of Dutch and Belgian bottles, though other great brewing nations such as the U.S. and U.K. and nearby Denmark get their own walls, too. Incidentally, try to bring a special bottle from back home to share with the proprietor, Jan (he prefers wild ales), and for your troubles and expense he’ll reward you with something at least of equal value. Besides, that bottle will act as a good place holder for the treats to fit in your luggage for the return trip. It’s here that one truly gets to see in one sweeping vista the breadth of the Dutch beer culture. Bottles range from autumnal wheat, date and smoked bocks to stabs at spontaneous fermentation by the upstart likes of Oedipus Brewing, with a crowd-funding project to help build a brewpub. And there are dozens of highly coveted barrel-aged offerings among the shelves of beers from De Molen. And as for those sour beers, it’s easy to miss the basement level, referred to as the jewelry shop for all the lambic gems it contains. The kicker is that, since import costs work the same in reverse, a split-bottle of Cantillon is cheaper than most average 12-ounce bottles from America. Brewery-wise, your smart phone’s GPS will help you find Brouwerij De Prael in the winding streets of the De Wallen neighborhood. Started by mental health practitioners, this brewpub puts the psych patients to work. I’m fighting the urge to call Johnny, their kölschbier, crazy good, or Willy, the Belgian Strong, insanely delicious. The theme, as it were, is not psychiatric patients but local folk singers. That kölsch? Named for singer Johnny Jordaan. There are many facets to this business. Around the corner and down an alley from the bottle shop/gift shop is the main entrance. The subterranean brewery is visible from a tasting room that gets so crowded and raucous, it’s advised to call ahead and reserve a table (which explains why the staff will kick you out of your table if you’re sitting at one that has a beer mat with a name and time written on it). If you’re traveling with young’uns, there’s a kinder corner with toys. Having said that, take note, De Wallen is more commonly referred to as the Red Light District so it’s surrounded by cannabis depot coffeeshops and near-naked professionals bathed in red lights who, I learned, will coo at your baby. 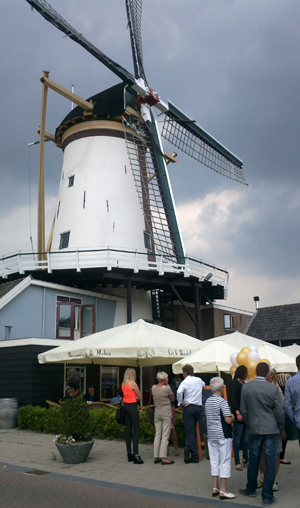 And as previously mentioned for drinking beer at the source, weather permitting sit and sip beneath ‘t IJ’s (in Zeeburg) windmill, especially because it fills up inside. The original 25-hectoliter brewhouse remains on site, though an expansion recently added a 40-hectoliter brewery half a mile away, but there’s no public tasting room. Here you can explore the core lineup as well as seasonals, my favorite being Flink, a sessionable golden ale. Beyond the obvious Belgian influence, there’s the aforementioned Flamingo Black IPA, a Belgian IPA, and a white IPA, which makes more sense from a Belg-ish brewer. I was lucky enough to try a beer in the works, a smoked barleywine, perfect for the wintry weather that had just arrived during my visit. A final note about Zeeburg. I met with Robert van Lil, an Amsterdam native who has been homebrewing since he was 19 (in 1986). Since he and his family live in this neighborhood, it seems a fitting name for his Brouwerij Zeeburg, currently one of Holland’s handful of contract brewers. He makes two beers, Tripel and Dubbel Bock, both brewed at De Proef in Belgium and, coincidentally, both weighing in at 8.2%. What I like about the doppelbock, all Munich and caramel malts, is that the dark barley and hops give the beer a slightly burnt toast with marmalade flavor. Robert is simultaneously experiencing how difficult it is to get accounts with a little-known craft brand, but also that the time is changing. With encouragement from his wife, I think we may see the Zeeburg brewery materialize in a few years, just like other brick-and-mortar hopefuls I’ve visited and enjoyed, such as Bar Brouw (in Old West) and Butcher’s Tears (in Amsterdam-South). Contrary to what you’d imagine, it’s the former—without the word butcher in it—that opened as an American-style smoked-meat-centric gastropub. By contrast, Butcher’s Tears currently operates as a tasting room for its brewed-in-Belgium ales and already packs a crowd. Bar Brouw slings some tasty brisket and pork belly sandwiches to go along with its small-but-mighty bottle and draft list. But, instead of American cuisine, when in Amsterdam go Dutch. Then again, beyond raw and pickled herring and broodjes, the common and little banal sandwiches, there’s not a ton to seek out. Perhaps it’s a bit touristy, but the Pancake Bakery (in Jordaan) is forgiven for any kitsch for its seriously great savory or sweet Dutch pancakes that are neither crepes nor fluffy buttermilk ones. Make sure someone at your table orders the Indonesian, filled with chicken, crispy onions, mushrooms and leek in peanut sauce. Speaking of the former Dutch colony, Indonesian restaurants abound, and a high-quality, high-comfort spot is Kantjil & de Tijger meaning antelope and the tiger (in Centrum). Simply order the rijstaffel (“rice table”) and prepare to feast through curries and other flavorful plates. Bazar (in Albert Cuyp) is a large Turkish and Mediterranean dining room in an old synagogue directly off the busy Albert Cuypstraat open-air market. From lamb to fish and chicken or vegetarian dishes brimming with spices, there’s a reason they have menus in multiple languages. 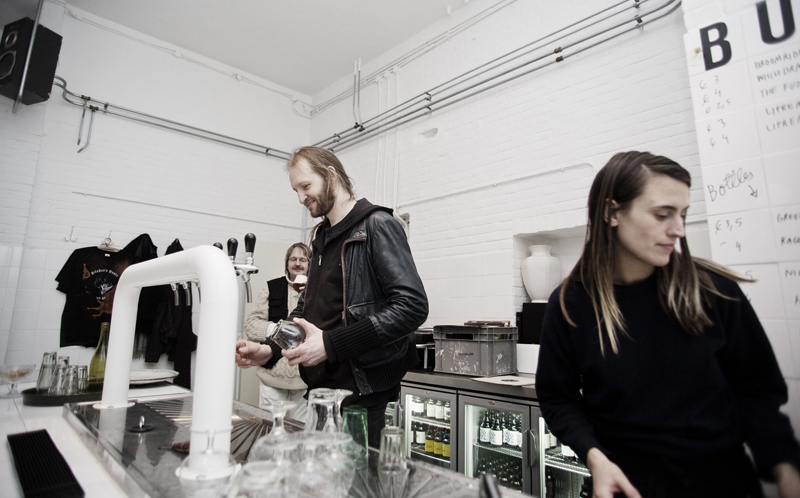 For more Euro, Scandinavian Embassy (in De Pijp) is a coffee house (not “shop”) with proprietors who are more like docents, or Ci­cerones, if you will, of the small bites and coffee worlds. With little in the way of authentic Dutch cuisine, why not look northward and get the tasting board with bear sausage, reindeer, moose and duck brûlée, accompanied by cloudberry jam—made from tart, amber berries that grow only in far northern latitudes and are so valuable that blood has been shed over their cultivation—and some Dutch cheese so old and pungent you’d swear your grandfather left it out for you. Paired with single-origin coffee, made one batch at a time to ensure freshness, this is a fun find in a nontouristy neighborhood. Finally, I’d be remiss if I didn’t let you in on the national sweet treat. Nope, not Dutch apple pie, although Winkel is duly famous for one that comes topped with an amazing whipped cream. Nor am I talking about hagelslag, the chocolate sprinkles with which the Dutch blanket their morning toast. I’m talking stroopwafel. Stroopwafels (syrup waffles) are manna from sugar heaven. Two thin waffles not unlike a pre-rolled waffle cone, sandwiching a layer of caramel. The best I’ve found is at this Saturday market along Lindengracht in the Jordaan. Get ’em warm and melty. See the next page to see a list of beer festivals near Amsterdam. You mentoined your 2yo being able to drink when he/she’s 16. This is uncorrect unfortunately, we recently bumped up the age requirement on low ABV liquor to 18yo. Vincent: I’d written this before New Year’s Eve when the law changed. My 2.5-year-old son is now really pissed.